Two rangers were killed while chasing poachers in Geno biosphere reserve in the southern Iranian province of Hormozgan on Thursday, the Department of Environment's website reported. 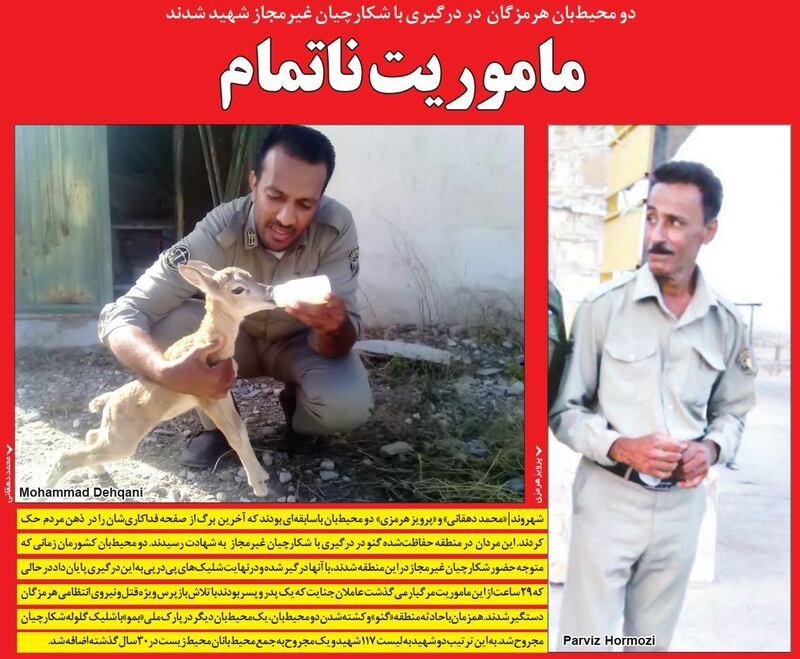 While patrolling the area, the two rangers, Mohammad Dehqani and Parviz Hormozi, were shot in the head and the heart and passed away, Hormozgan province department of environment director general said. 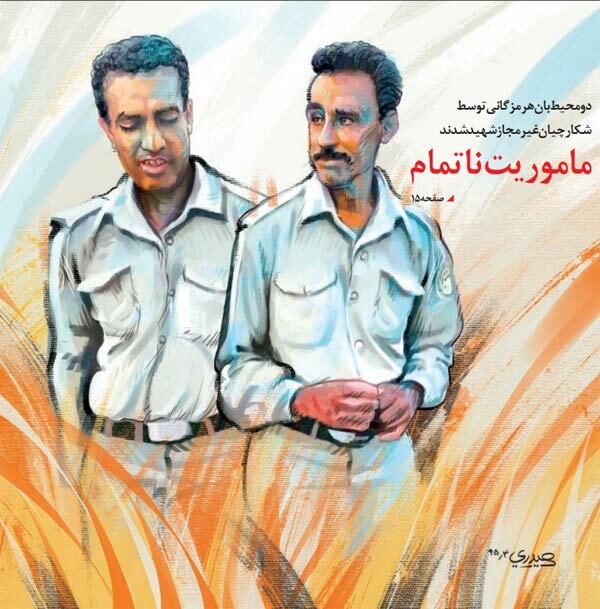 According Shahrvand, a father and son have been arrested for the murder of the rangers. Majid Vafadar explained that the poachers ran away from the scene and the searches to find the murderers are still ongoing. Dehqani, 35, and Hormozi, 54, had experiences of 12 and 23 years under their belts, Vafadar said. As the area is almost impassable, the two rangers' bodies must be brought back by helicopter. However, due to the darkness, that was not possible either, Vafadar noted. "So the rangers' co-workers climbed up the mountain to bring back the dead bodies," he added. Masoumeh Ebtekar, chief of the Department of Environment, has also extended her condolences and urged the police to catch the criminals in no time.